Get ready, because the EuroMillions Superdraw is coming to Malta. In just three weeks, one of the world’s largest and most exciting lottery events will be happening and it’s open to players in Malta. The EuroMillions Superdraw is set to take place on Friday, September 21, 2018. Early tickets sales are now open and available on theLotter.com. This event only happens a few times a year. Organisers usually schedule the Superdraw around some type of important occasion, and when they do, the lottery has a guaranteed starting jackpot of a massive €130 million. If no ticket holder claims the prize, the jackpot can continue rolling over until it reaches €190 million. It is capped at this amount, which means that it cannot go higher than €190 million. This means that if no winner comes forward, the cash prize is divided among the winners of the next prize tier. The EuroMillions Superdraw requires players to choose five main numbers from a range of one to 50, and two additional numbers called “Lucky Stars” from a range of one to 12. In addition to the main jackpot, there are 12 other prize divisions, giving players fantastic opportunities to win big. 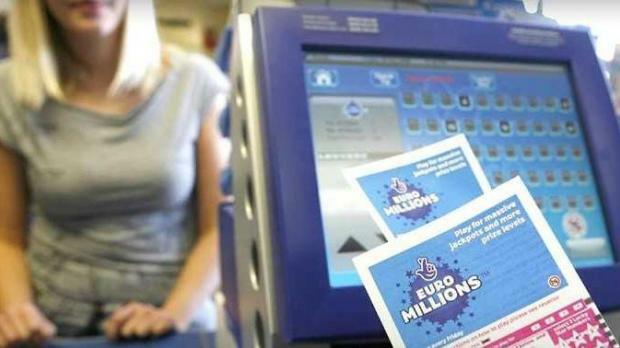 Similar to other lotteries, players can buy official EuroMillions tickets online through theLotter. They can also increase their odds by playing as a group and joining a syndicate, or playing with a bundle, which is a combination of a single-ticket entry and a syndicate. Players can try their luck from anywhere, including Malta. Playing online is simple, secure and fast. All players need to do to play the EuroMillions Superdraw online is: select their numbers, click the ‘play’ button and complete the payment. What would you do with an extra €130 million in your life? Think about it and buy your tickets online now, because the early sale has already begun at theLotter.